Mark your calendars for “Fall Into Fun Kickoff Party,” taking place Friday, November 9 from 7 to 11 p.m. at The Oakhouse at Exmoor Country Club. This event marks the official start to Catholic Charities’ fundraising season leading up to the Art of Caring, the organization’s largest and most important annual benefit each spring. This year is particularly significant as the Women’s Board of Catholic Charities Lake County is celebrating 30 years of providing much needed support to Lake County residents. 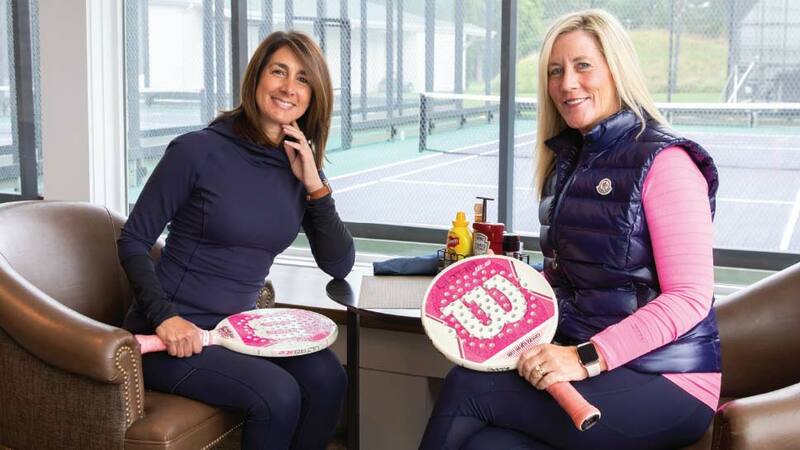 Co-chaired by Jean Clewlow and Lois Sheridan, the kickoff party will feature paddle tennis, curling, pub food, cocktails, raffle prizes, and live entertainment by Derek “Suede” Stout. Raffle tickets start at $50 each; the top raffle prize winner will receive an exclusive cocktail party for 20 in the renown gardens at a Lake Forest estate, with entertainment by Derek “Suede” Stout (valued at $5,000). All proceeds from the “Fall Into Fun Kick Off” event and the Art of Caring event go directly to support the programs and services offered by Catholic Charities to the neediest men, women, children, seniors, and veterans in Lake County. Tickets to the “Fall into Fun Kickoff Party” are $100. For more information, contact Angie Sage at 847-782-4119 or [email protected]; for tickets, visit catholiccharities.net/aokickoff.